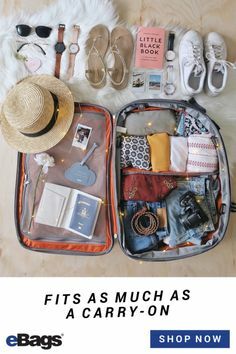 Home Tags Posts tagged with "Suitcase"
You have to be a little bit okay with unpredictability to be an avid traveler. After all, that’s what wanderlust is all about: the thrill of escaping from your everyday life…embracing the unexpected…exploring new terrain. But what happens when the terrain itself is unpredictable? 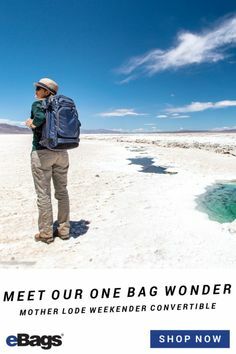 For decades, luggage companies have struggled to design a bag that could quickly adapt to changing conditions. Until recently, your best bet for multiple kinds of groundwork was a wheeled backpack. But as you may have noticed, the back of any wheeled piece has to be rigid, in order to support the structure of trolley handle. You’re a human, not a robot. Your back is not rigid, so these bags are wickedly uncomfortable. Which makes the whole “convertible” feature pretty pointless. Always Ready to Rock. Or Roll. 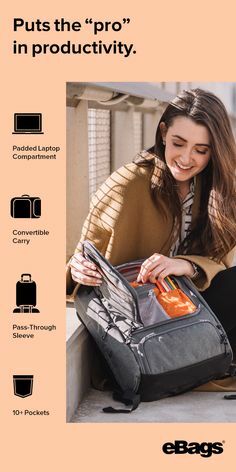 Enter the TLS Convertible Wheeled Carry-On: the first two-in-one backpack/suitcase that actually excels in both functions. With our newest hauling hero, “Convertible” means you’ll always have a suitcase that’s ready for anything, from the polished floors of the concourse to the cobblestone streets of your favorite Italian village. 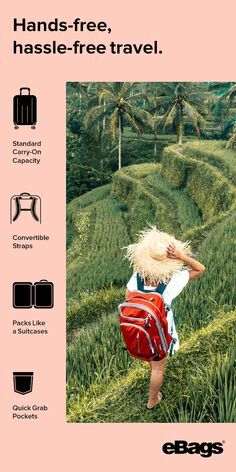 Thanks to deployable shoulder straps, it can quickly go from wheeled carry-on to backpack…and back! What good is convertible functionality if the bag is uncomfortable to wear? No good at all. That’s why our adjustable straps deploy from the front. 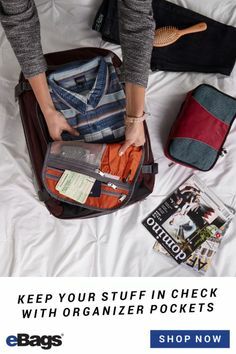 This puts the inflexible back of the bag, along with the dirty wheels and trolley handle tubes, facing out—while the fabric face, along with any zippered pockets that might interest would-be thieves, is against your body. It’s a teeny design tweak that makes all the difference when you’re on the go. Straps that Stow + Go—or No. We understand that no two travelers are the same. That’s why we made the backpack option just that: an option. If you’re headed to a modern city, leave the straps at home; if you’re headed for parts unknown, bring them along. They don’t take up much space…but it’s YOUR adventure, and every cubic inch counts. A Great Bag, Either Way. Yes, the TLS Convertible Wheeled Carry-On is basically two bags in one. But our goal was to make a bag that excelled in either incarnation—so removable straps are just the beginning. 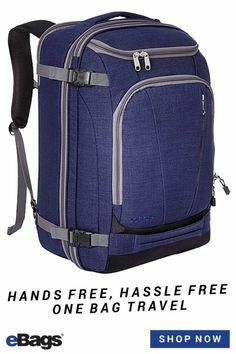 No matter how you carry it, the TLS Convertible offers a large front zippered pocket, a zippered interior mesh pocket, and an expansion zipper to increase packing space by nearly 25%. 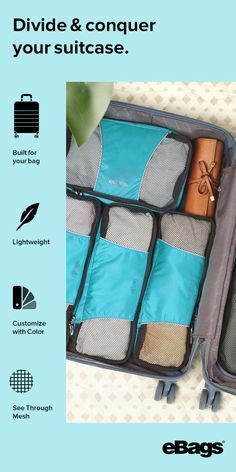 It’s every bit as durable as it is versatile…everything you want in a bag, and (obviously) more. 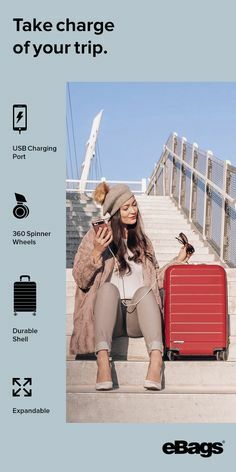 Shop the life-changing TLS Convertible Wheeled Carry-On, our other brand-new products for Holiday 2016 and all of our crowd-pleasing eBags Brand products.